TORONTO -- The Canadian Real Estate Association has cut its home sales forecast for next year due to the impact of tighter mortgage regulations that come into effect New Year's Day, which are expected to rein in spending for some buyers. 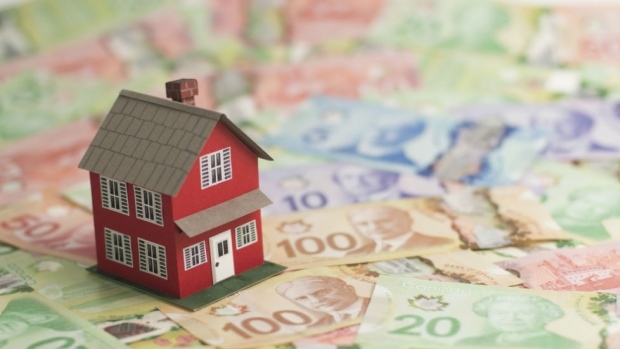 CREA said in an updated projection Thursday the banking regulator's revised mortgage underwriting guidelines, which include a stress test for uninsured mortgages, will reduce sales activity across the country, particularly in and around Toronto and Vancouver. "With some homebuyers likely advancing their purchase decision before the new rules come into effect next year, the 'pull-forward' of these sales may come at the expense of sales in the first half of 2018," CREA said in a statement. "Meanwhile, other potential homebuyers are anticipated to stay on the sidelines as they save up a larger down payment before purchasing and contributing to a modest improvement in sales activity in the second half of 2018." In November, the number of homes sold through its Multiple Listing Service rose by 3.9 per cent compared with October, led by a 16 per cent sales spike in the Greater Toronto Area. Sales were up 2.6 per cent from last November, marking the first year-over-year increase since March. That helped send the national home price up 2.9 per cent, year-over-year, to $504,000. "But strong underlying supply-demand fundamentals should prove supportive next year once the remaining froth gets worked off," he wrote in a note to clients. "In all likelihood, Bank of Canada rate hikes and the coming rule changes from OSFI should keep the froth from returning. Elsewhere, look for continued strength in Ottawa and Montreal, stability in Alberta, and an ongoing supply-demand struggle in Vancouver."